We are a family run company and for the last 30 years we have sold our items internationally, worldwide. 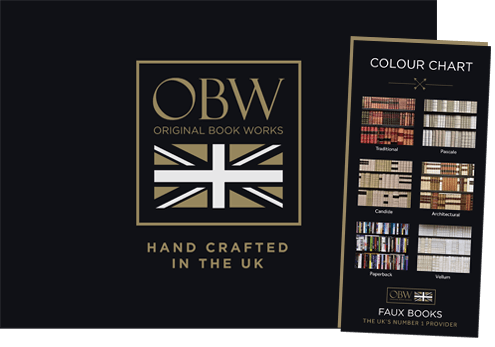 Designed to faithfully reproduce the appearance of leather bound books, we manufacture our top quality faux book products in Oaksey, near the Market Town of Cirencester, UK. Each timeless classic is hand painted, gilded and finished and then given our seal of approval. 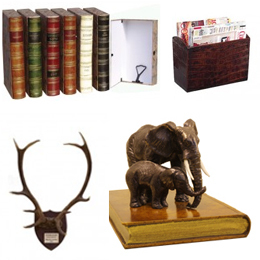 There are regular additions to our ever-popular range of book accessories for the home and office. The clean lines of our products look sensational in any setting from a modern house or office to a luxury home. A number of our products e.g. the box files can be personalised with titles or names of your choice. Most products are available in a choice of five traditional colours: tan (brown), antiqued red, forest green, black and vellum, (cream). 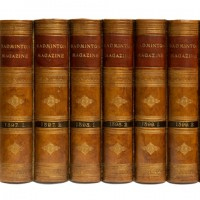 We have expanded our range of faux book panels. Do look at our video on our specialist site www.fauxbooks.co.uk to see how easy it is to create a stunning faux book ‘hidden door’.Click here. You can include bespoke titles in your false book project. We are able to offer friendly advice on your project and give free quotations. Our paperback book panels are real books which have been cut down to use the spines. If you contact us with your dimensions, we will create panels to match your requirements. For a summary in your language of information about faux book projects and secret doors click here. As all our products are made to order by hand we aim to despatch within 7 – 10 days. If you require your items urgently e.g. for a birthday or anniversary – click here. We use a courier service – usually UPS or Interlink. It helps if you can give us a day time delivery address where goods can be signed for. For a growing number of countries we have access to a text advice service indicating expected delivery time. Please provide mobile phone details to take advantage of this service where it applies. The Original Book Works is a secure site, payment is taken by Paypal from credit/debit card or Paypal account. Payment will be taken in GBP £ sterling with an indicative amount shown in Euros or US $ dollars. If your country is not shown in the delivery zone chart please click here to receive an email with an individual freight quotation to enable you to complete your order securely online. © 2017 Original Books. All rights Reserved.